Beautiful 3mm rose cut topaz cab is set inside a sterling silver bezel. The band is 14k gold filled but you can choose the metal in the drop box options to the right. 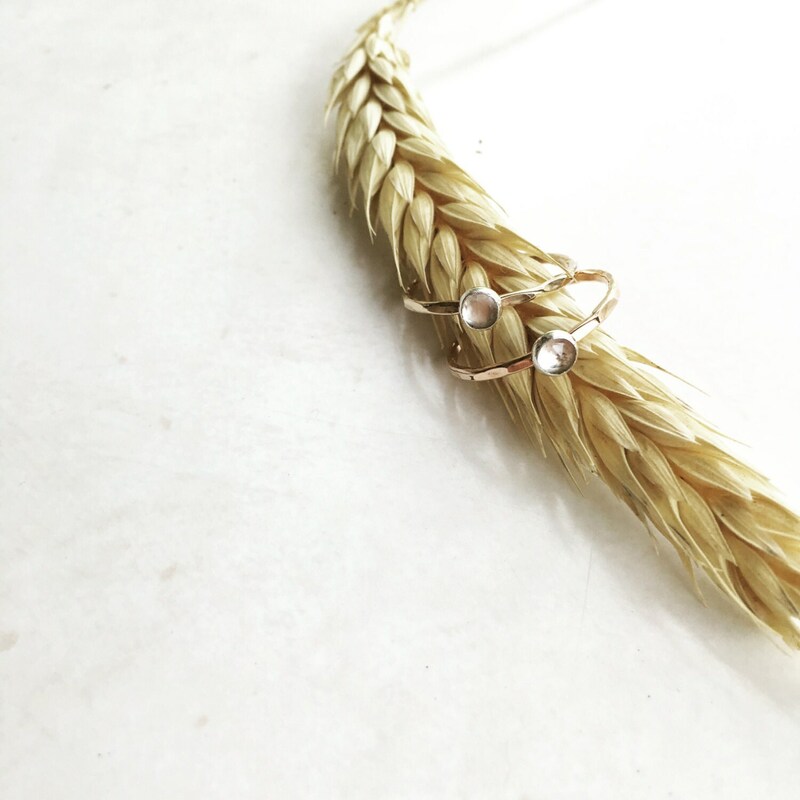 Pretty and dainty, a great solitaire ring or stacked with other stack rings.